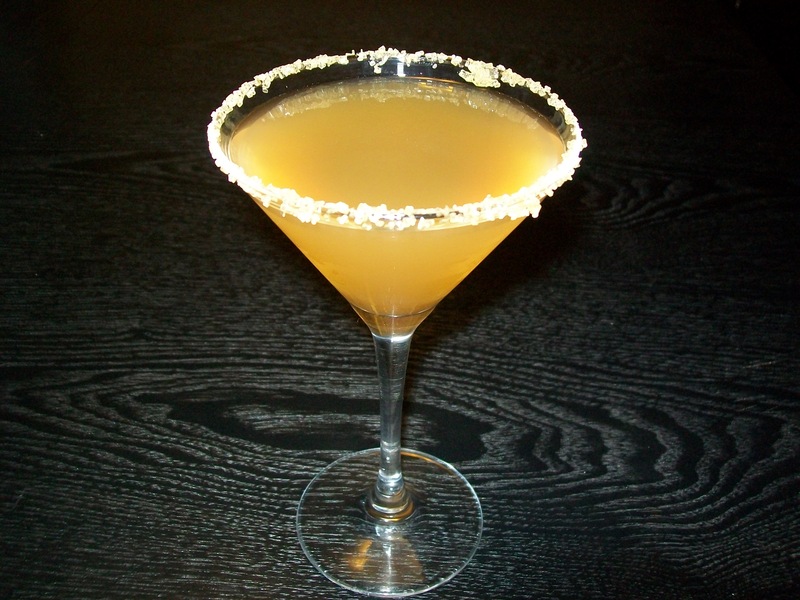 This week’s Friday Cocktail features the classic Sidecar. The Sidecar most likely originated in either Paris or London just after the end of World War I, though this isn’t entirely certain. However, it did make its way into cocktail recipe guides by 1922. The sugar rim was likely added around 1934. What you’ll need: Cognac (or Brandy), Cointreau, and Lemon juice. Lightly rim a chilled martini glass with lemon juice and then coat with sugar. Pour 2 ounces of cognac, 1 ounce of cointreau, and 3/4 ounce lemon juice into a shaker over cracked ice. Shake and then strain into your martini glass. Triple sec or Grand Marnier may be used in place of the cointreau. A slice of orange may also be used as a garnish. How I like it: I love Sidecars. This is one of those drinks I often order when dining out, though not often at home. Getting the proportions just so can be a challenge. The above recipe works well, but the drink may need more lemon juice if you like a sweeter drink. For the pictured cocktail, I used Courvoisier Cognac V.S. and Triple Sec. The sugar coating is raw unrefined sugar. I did end up having to add a dash more lemon juice to get the balance of flavor I like best. Though car might be in this drink’s name, you know better. Drink responsibly!